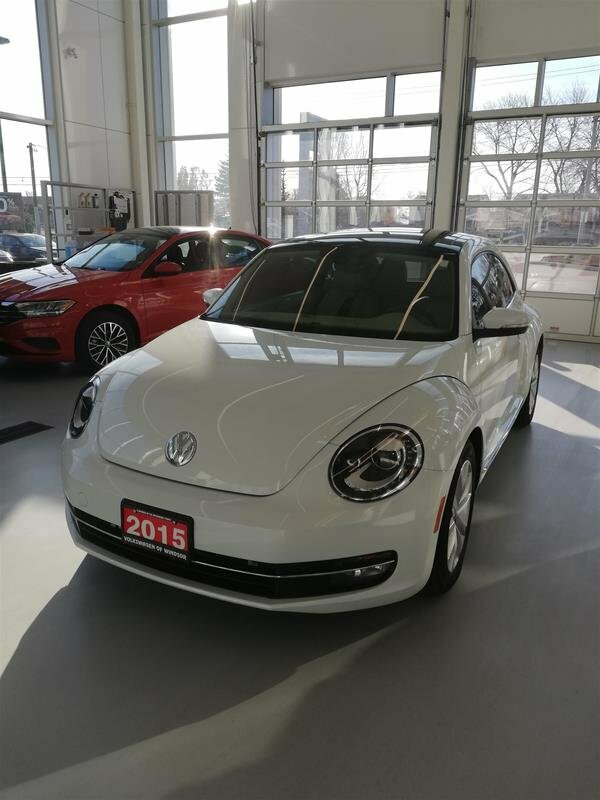 Our 2015 Volkswagen Beetlt 1.8T Comfortline with an Onyx White Pearl Exterior, on a Gorgeous Beige Leatherette Interior with only 13,000 kms, Won't Last Long -- Hurry in Today!!! This model comes with various options such as:, Keyless Entry with Push Button Start, Power Sunroof, Power Locks and Windows. AT THIS PRICE, THIS CAR WILL NOT LAST FOR LONG. Volkswagen of Windsor is committed to providing the highest levels of customer service through our unsurpassed knowledge of the Volkswagen vehicles that we sell and service. We are very committed to building relationships with our customers and for them to become a part of our Volkswagen family where we treat you like a friend and family member, not a number! Did you know that we take ANYTHING in on TRADE?